During his studies in computer science, George Messaritakis who is based in Berlin, was introduced to photography and decided to quit his IT job to make a living from architectural photography. As a professional photographer, George combines his ideas and knowledge of photography as art with the practical demands of his clients in order to create distinctive, personal images of the built environment. He believes that architectural photography need not be restricted to documentation; it should propose a way of looking at and appreciating architecture. His photographs aim to make the viewer think, comprehend and develop an affection for architecture that goes beyond amazement and sensation. 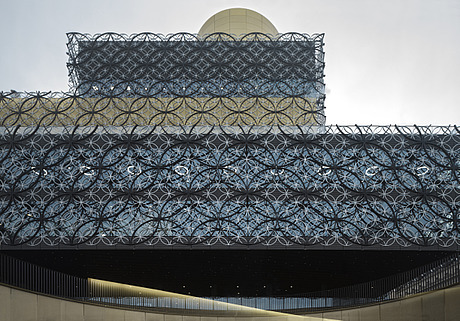 For his profile picture, George chose his picture of Birmingham Library by Mecanoo Architects: "This photograph shown here, with its austere composition, precise framing, and muted colour palette, perfectly showcases the architecture of the new Birmingham Library and is a signature image in my portfolio."